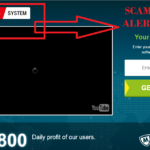 Easy Daily Profits Review - Another Scam System Busted! Each one of has faced life’s struggles at some point in time or maybe still are. One of the easiest way to get rid of them would be get your hands on big money. Money is the tried and tested panacea of a majority of problems. Its not for no reason that the world is running after money. Investing in Stock Markets or businesses seems as the only way to make quick and huge money. Regular jobs are not as exciting and well-paying, exceptions are always there though. But to invest in stock markets or businesses, again requires money and its a risky affair as well. So not many actually get down that lane and continue to lead the same old boring life for years and years to come. Binary Options Trading is the relatively newer dimension and is quickly gaining popularity. Today, we review one such Binary Options Auto-Trading Software- Easy Daily Profits. Read our full review and find out our in-depth analysis on it. 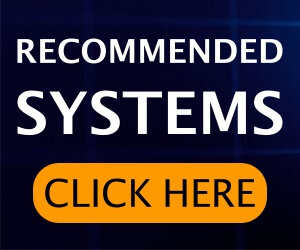 Easy Daily Profits is a Binary Options trading software which can be set to auto-pilot mode to do automatic trading on your behalf. You must have been introduced to it rather recently, thanks to vigorous internet marketing. We’ll quote some facts and summarize what we see in the introductory video. Starting with- its capable to easily make hundreds of dollars per day and thousands of dollars in a week. It works by manipulating the loopholes in Binary Option Trading. Its sophisticated algorithm is designed to find the most profitable trades and the least risky ones at the same time. The software works by predicting market fluctuations and thereafter making constant profits on your investments. With a minimum investment of $250, you can also get yourself set up to trade and take a step towards financial freedom. You can simply enjoy the luxuries of life with your family instead of worrying about your financial overheads. 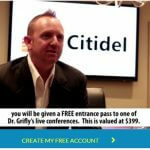 The advertorial video is being narrated by Dean Westhrope, the founder of Easy Daily Profits. He narrates about his life struggles and how he survived a rough patch in life. He experienced a life transformation when an old friend of him introduced him to Easy Daily Profits. Dean started off with the free copy of the Beta-version of the software. He describes how he was able to make over $2,000 in his two days of trading. That is a thing of past now, as he is already raking in millions of dollars and his life is settled now. 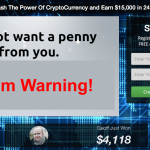 Dean pushes forward and asks the viewers to get on-board and start using Easy Daily Profits for free. He says that the free spots are numbered and only the first hundred would get a chance to use it. In a matter of time, the software would not be available for less than $15,000. Also check my Lexington Code Review. Easy Daily Profits- Fake or Genuine? So much for quote- unquote, let us get straight to the point. If you watched the website and the video carefully, you must have observed many loopholes. We’ll shred every lie there is in Easy Daily Profits. Firstly, did you notice that Dean mentions in his long story-telling about an old friend whom he met ? Now pay attention. The friend handed over a free copy of Easy Daily Profits to Dean with which Dean started making money. 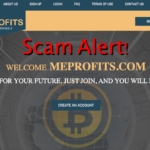 Now if you pay a closer look at the website, this same Dean Westhrope is introduced as the Founder of Easy Daily Profits! Is it a coincidence ? Or do they want us to believe that a beta-tester user of the software was originally also the founder of the company? Its bizarre and defies logic. We don’t believe it. We did a little bit research about Mr. Dean Westhrope and found that he is just a fictional character and the image shown on the website is just a stock photo. They talk of exploiting the loopholes in the Binary Options Market. Well, we are just getting started with exposing what a big loophole Easy Daily Profits itself is. Again, its told again and again in the presentation that there are only 100 spots available currently. There is a counter running at the side of your right eye rapidly decreasing in count. Now wait a second, just refresh the page after sometime, what do you find? The spot count has again increased. What happened there? Did so many users give up their spots so quickly? Let us tell you, its the same old fake counter you’d find in fake websites and scams like these. Their Mantra- Induce urgency after generating hype and the scapegoats will find their way into the abattoir themselves. The live profits window on the website is also a typical example of the foolishness of the website creators. We ask, whose live profits are they? Its not mentioned anywhere . The live trades are also most probably fake random count generators. 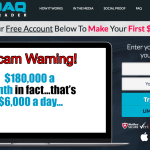 The scamsters want us to believe that millions of dollars can be easily made in a year. It a well known fact that no business or trade in the world can so confidently claim such a thing. And talking about a financial instrument like Binary Options its just not feasible, given its volatility and risks involved. Not to mention the various factors contributing to the success or failure of a trade. Yes, there is no mention of the term broker anywhere on the website or even in the presentation. And they want us to blindly believe them in putting our initial investments with them! You just cannot trust these guys. You see many happy faces on your screen, thanking Easy Daily Profits for their “success”. We ask which success ? Its all fake. A software company which itself has cast aspersions on its own founder, what can you expect. The recommendations are static and the last updated time is stuck forever at ” 44 minutes”. The same old bunch of testimonials appear even if you revisit the website after this lifetime. Pity the shabby piece of work the website creators have done. Or is it that they were least bothered and just didn’t care! Even if a handful few unsuspecting trading aspirants fall for their plot, then they are already the millionaires they claim they are. 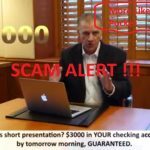 Final Verdict – Easy Daily Profits Is 100% Scam! Avoid It! I think we have rendered enough proofs to support our Easy Daily Profits scam review. We would not recommend you paying up or even signing up to their website. Please do not share any personal information in the forms. You cannot think when and where these scammers hit you. It better to stay safe than repent later.